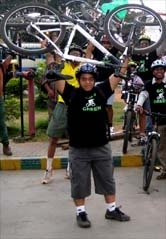 HERCULES CITY CHALLENGE Bengaluru ‘11 - GGI-Group size: 4000+ Professionals, Increasing on day to day basis, Come & join us 2 serve Mother Nature. 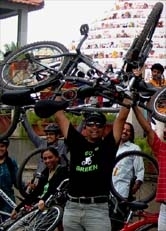 Do you want to win an all expense paid trip to a Cycling adventure in the Himalayas? You could be one of two lucky winners from Bengaluru if you register NOW! If you think you have what it takes, log on to http://hcc.doattend.com and register for the Challenge in your city. Mechanic and Medical support will be made available at select pit stopsalong the route (every 10 kms) Snacks will be provided at the finish. 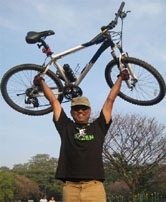 Log onto http://hcc.doattend.com and pick your city (Bengaluru) from the list. Please go through terms and conditions of the event before completing the registration process. Helmets are mandatory at the event, riders will not be permitted to participate without them. All participants will be eligible for the 1 free service at our select stores, for a period of one week after the event.